With a strong background in manufacturing and assembly, Rosco Manufacturing can support customers in any way possible. Let us mass produce the parts that you need, then move them seamlessly into our assembly and packaging areas. From engineering to light assembly, quality control to final assembly, Rosco Manufacturing can deliver a finished good that’s ready for delivery to your loyal customers. If you are looking for 300 blackout, 9mm 5.56 or .223 barrels you have come to the right place. If production and manufacturing are bogging you down, let Rosco Manufacturing step in to manage the process. As a true manufacturing partner, we can streamline your process and interface with outside vendors to integrate their components into your final product. We’ll make your production headache a powerful new strength on which to build your business moving forward. Outsourcing your production and assembly makes sense from a convenience factor, but it can also save you valuable time and money throughout the process. We’ve refined the way that we do things over the past 30 years to provide the greatest cost advantage for our customers. When time is money and you need your product as quickly as possible, trust Rosco Manufacturing’s Project Management / Assembly for quick turnaround in high volume. What good is mass production with no quality control? 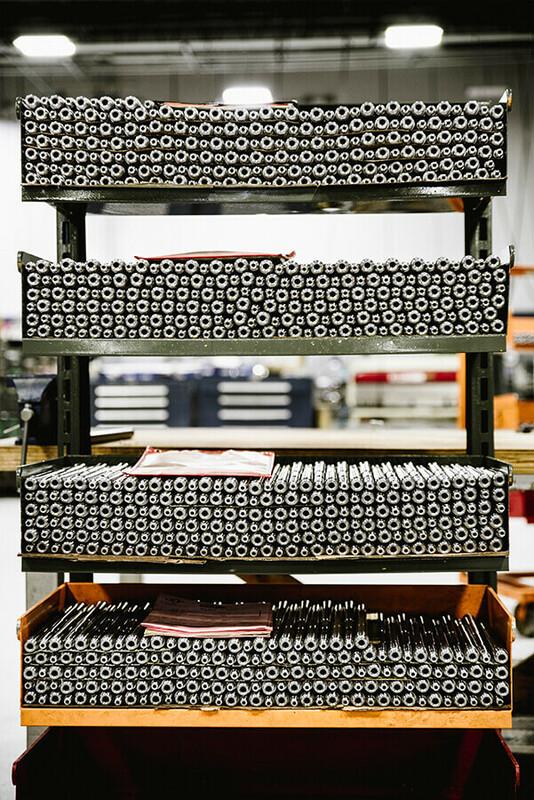 Quality is always on our minds when producing components or assembling customer firearms. From production staff to assembly teams, engineers to management, every link in our manufacturing chain is dedicated to delivering a high quality product. Rosco Manufacturing employees are trained to identify defects and resolve any problems in the process before they become major quality control issues. Interested in our Production / Assembly capabilities?